The British GT Championship celebrates its quarter-century in 2017, and where better to begin its milestone campaign than at a circuit that’s hosted more of the series’ season openers than any other: Oulton Park. The 2.692-mile, 17-turn parkland venue in Cheshire is one of the nine-race schedule’s most popular amongst drivers and fans alike, and once again gets set to welcome a bumper crowd for the championship’s two hour-long races on Easter Monday (April 17). Entertaining them will be a 64-driver, 32-car entry featuring 12 GT3s and 20 GT4s comprising a total of 11 manufacturers. Oulton’s opening race will be the only one all season not to feature pit-stop success penalties, before the top-three finishers in both classes are required to remain stationary for an additional 10, seven and five seconds respectively during race two’s pitstops. But with so many fresh faces, new teams and manufacturers taking on the established order, who will stamp their authority on 2017’s curtain raiser and, potentially, the year ahead? Everywhere you look there’s a potential race winner on this year’s British GT3 grid, which – pound for pound – is one of the most competitive ever assembled. Aston Martin, Bentley, Ginetta and Lamborghini all return, while new-generation models from Mercedes-AMG and Ferrari are also entered on a full-season basis for the first time. So who’s got the tools to get the job done? We start with reigning Drivers’ and Teams’ champions TF Sport, whose two Aston Martin V12 Vantage GT3s are bound to be somewhere near the sharp end. That said 2016 title winners Derek Johnston and Jonny Adam saw their perfect start to last season end at Oulton where they didn’t feature on the podium in either race. Team-mates Mark Farmer and Jon Barnes grew in confidence and speed as last season progressed, peaking with a first win together at Spa, and the pairing could be dark horses for another around northern England’s answer to the Ardennes. Barwell Motorsport missed out on both titles at Donington’s 2016 decider so expect the Surrey-based squad to be more motivated than ever. Its two Lamborghini Huracan GT3s locked out Oulton’s front row in qualifying last season and there’s no reason to expect anything less one year on. Phil Keen’s undoubted but often overlooked talent has finally caught the attention of the FIA, who have upgraded the 33-year-old to Gold status for 2017. 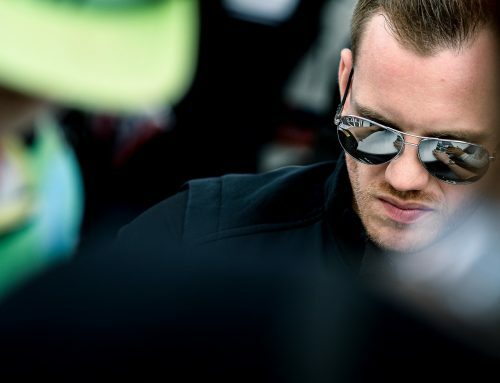 His long-standing partnership with Jon Minshaw continues into a fifth season, which both drivers will be hoping finally delivers that elusive first British GT3 title. Barwell’s second Huracan is another potential title contender in the hands of 2015 and ‘16 Oulton race winner Liam Griffin and 2016 BTCC runner-up Sam Tordoff, whose switching of codes over the winter attracted plenty of attention. How the 27-year-old settles into his new career will have a large bearing on this crew’s chances. In Griffin it undoubtedly boasts one of the grid’s fastest Am drivers. 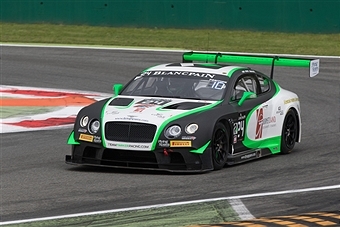 Another of last year’s triumphant Oulton pairings leads the line for Team Parker Racing and Bentley, with Rick Parfitt Jnr and Seb Morris eager to go a couple better this time around after finishing third overall in 2016’s standings. The latter also claimed Pro pole at the Continental GT3’s home circuit last May, suggesting this could be one to watch throughout the weekend. 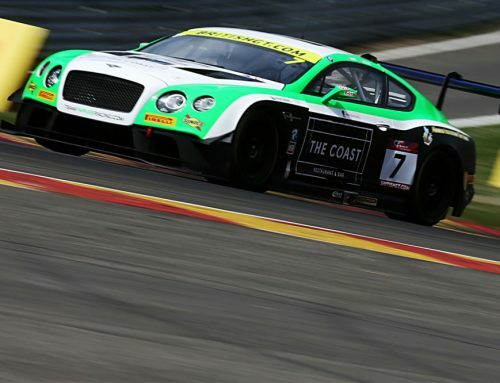 Joining Team Parker for a full-season assault are Ian Loggie and Callum Macleod, who made two British GT appearances last term in addition to their Blancpain GT Series programme. Both know the Bentley inside out and, in Macleod, have another driver who’s tasted success in single-seaters. British GT’s fourth two-car team is Century Motorsport, a name synonymous with Ginetta’s domestic GT4 programme but who now make the step into the championship’s top tier as the Yorkshire firm’s de facto works outfit. The team know all about long-time driver Nathan Freke’s turn of pace, and he’s joined in the #19 G55 by 17-year-old Pirelli World Challenge graduate Harry Gottsacker. Century’s second American youngster, Parker Chase, finished fourth in PWC’s GT4 category last season at the wheel of a Ginetta. 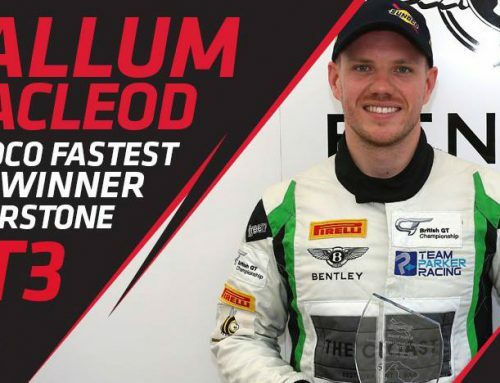 He partners the manufacturer’s go-to factory driver, Charlie Robertson, who despite winning with Ginettas in ELMS, GT4 and Juniors will be making his GT3 debut at Oulton this weekend. But there’s also plenty of talking points amongst the single-car entrants, not least AF Corse and Ferrari’s full-time return with serial British GT race winners and championship challengers Duncan Cameron and Matt Griffin. The new-generation 488 GT3 made a one-off appearance in the hands of FF Corse at Silverstone last year but is back hoping to claim a first British GT3 title for the Prancing Horse since 2011. Two new-generation Mercedes-AMG GT3s add further variety and a thunderous 6.3-litre V8 soundtrack to proceedings. 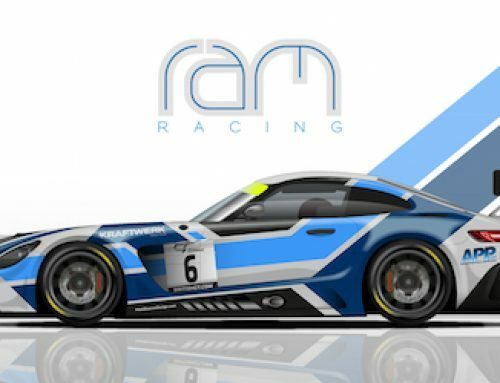 AmDTuning.com has swapped its popular and venerable BMW Z4 for a model that claimed two Blancpain GT Series titles in 2016, while Team ABBA with Rollcentre Racing is aiming to trouble the top-six with its all-Am duo of Richard Neary and Martin Short. GT3’s final entry is perhaps its least assuming but one that could nevertheless infiltrate the established order. 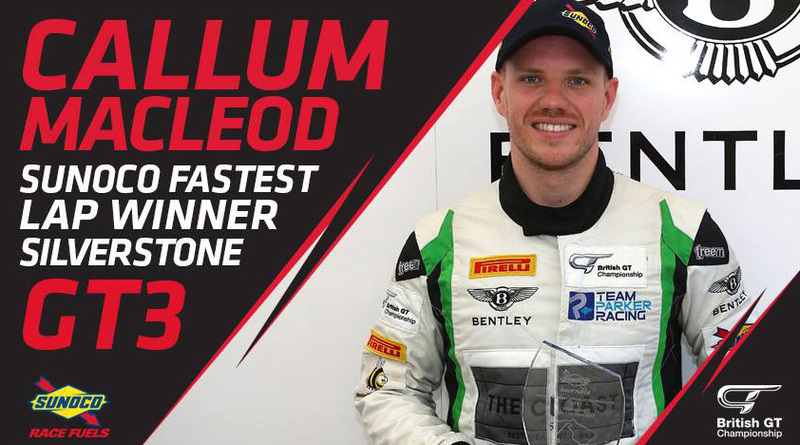 After making their British GT4 debut in 2016, Macmillan AMR graduate to the top class with an Aston Martin V12 Vantage for Silver Cup crew Jack Mitchell and James Littlejohn. The former knows the team well having raced with them throughout 2016, while the latter has shown speed in machinery as diverse as classics and sports-prototypes. Those in the know think this one could prove a quick combination. Jonny Adam remains one victory shy of tying British GT’s all-time GT3 wins record with David Ashburn and Hector Lester. The Scot has been stuck on 10 since Rockingham last season. If two British GT races weren’t enough Adam and Matt Griffin are also competing at Silverstone’s six-hour FIA World Endurance Championship round on Sunday. Victory for Parker Chase in either of Monday’s races would make him the youngest overall and class winner in British GT history. 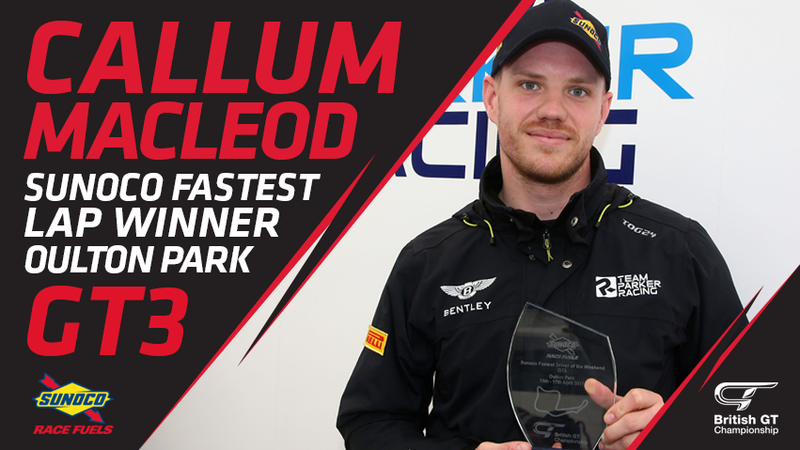 The American will be aged 16 years and 54 days, 115 days fewer than Sandy Mitchell was when he won the GT4 class at Snetterton last season, and more than a year Jonny Cocker’s junior when he claimed outright victory at Mondello Park in 2004.